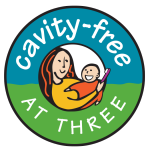 We at Park West Dental Office are proud to announce that we support and are involved with “The Cavity Free at Three” program, which is designed to help eliminate early childhood cavities in Colorado’s children and to help them grow up free of dental disease. Our dental office has the skills and resources necessary to truly prevent dental cavities and we take pride in helping a broad spectrum of children by accepting many types of dental insurance, including Medicaid, CHP, Delta Dental and more. Because we accept almost all dental insurances, we can help eliminate the lack of access to proven preventive measures, including sealants and fluoride application. Cavity Free at Three works to address these problems by integrating prevention into well child care and expanding access to care for those most in need. It is possible for your children to be three years old without any cavities or dental disease, please come in and ask us how we can help prevent dental disease and keep your children’s mouths happy and healthy. Park West Youth Dental has created our very own “Cavity Free Tree”. This is a way for us to reward our patients who do not have any cavities. It creates a positive experience for the kids by allowing them to place their name on the “Cavity Free Tree”. We love to see healthy mouths and we want to acknowledge and celebrate your child’s accomplishment. 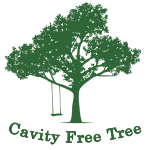 Patients have the opportunity to add their name to the “Cavity Free Tree” every 6 months, so we look forward to seeing them and acknowledging their oral hygiene habits and cavity free mouths.